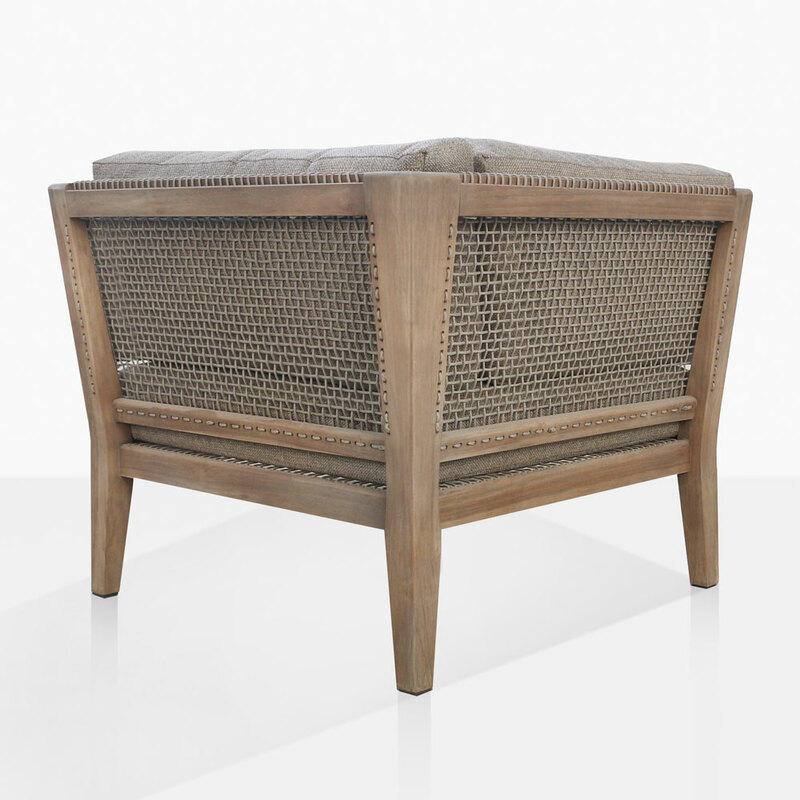 The Gazzoni Aged Teak Corner Sectional Chair is a gorgeous mix of aged teak wood and rope. This rope and wood combination is truly unique and will inspire a fluid aesthetic for your outdoor space. 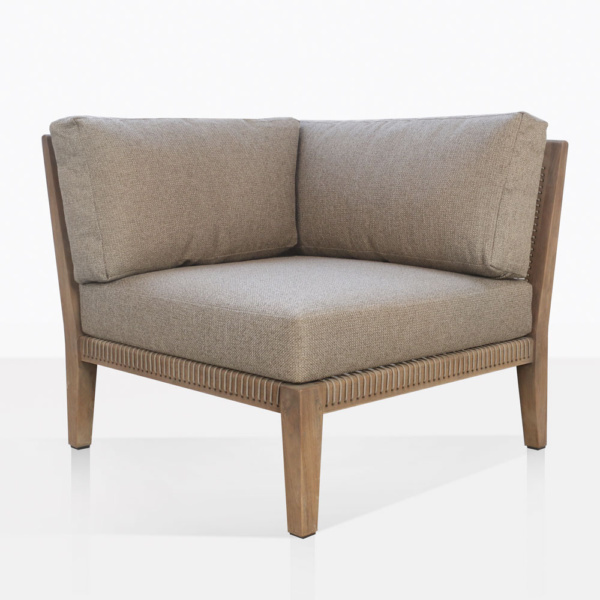 It’s not everyday that you get to slow down and indulge yourself with an easy living piece such as the Gazzoni Corner Chair. This corner chair makes a great addition to your outdoor space. With its deep seating and low-rise design you’ll find that relaxing takes zero effort with the Gazzoni Corner Chair. 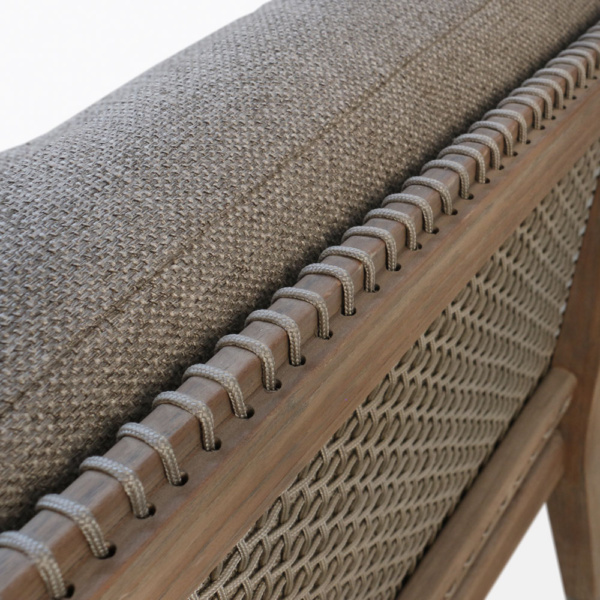 Made of aged teak, rope, and Sunbrella® cushions it’s no wonder that this chair is considered a space defining piece. Made from the finest materials, aged teak is highly sought after for its organic look and it’s ability to age beautifully with time.